In a noble effort to preserve the legacy and heritage of Singaporean drumming and music legends, the good folks at Fest Events International and Singapore Drum Fest will be kickstarting a series of events featuring some veritable giants of the local industry. Going big with their very first installment, the ground-up initiative launches with an intimate evening of jazz headlined by none other than 74-year-old musician, drummer, and singer Louis Soliano! Affectionately referred to as "Uncle Lou" by fans and peers, Soliano is a household name in local jazz circles. Growing up in a family of musicians, the veteran artist actually began playing professionally at the tender age of 17. From winning his first competition organized by Cathay Organization in 1959, to performing alongside jazz greats like Buddy Rich, Sarah Vaughan and Matt Monro, to performing live in front of two Singapore Presidents (Dr. Tony Tan, and Mr. Wee Kim Wee) - Soliano has certainly led a distinguished 58-year career. 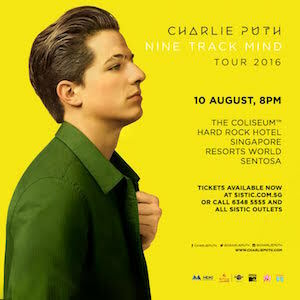 Don't miss Charlie Puth, the voice behind hit singles "See You Again" from Fast & Furious 7, "Marvin Gaye" feat. Meghan Trainor and more, live on this one night only concert! He's been conferred as a Fellow of the London College of Music and has received the Lifetime Achievement Award at the inaugural Singapore International Jazz Festival 2014, but beyond the innumerable accolades he's collected over the decades, the real pride and passion in Soliano's life remains the practice amd pursuit of his lifelong craft. Which is why on July 27, at the the Resorts World Theater, we'll be privileged to witness the jazz luminary excel in his natural environment. This forthcoming performance will also feature world-class players in the international jazz scene, including Benny Green on piano, Dezron Douglas on double bass and Andrew Lim on guitar, along with a special appearance by contemporary string quartet, Viva Strings, in the first set of Soliano’s concert. Expect to hear familiar numbers such as 'Unforgettable', 'For Once in my Life', and 'The Very Thought of You' at the concert alongside an original composition by Claire Foster entitled 'Lucky Green Blues', with music arrangement by Singapore’s very own Jeremy Monteiro. But besides at date with a group of legitimate virtuosos, there will also be a special exhibition at the venue, dedicated to tracing the Soliano's storied history of personal and professional achievements. 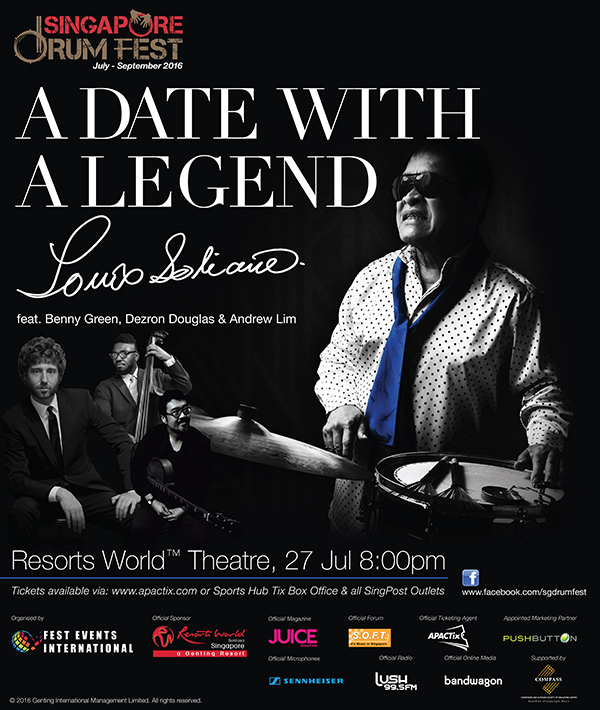 A Date With A Legend: Louis Soliano takes place at the Resorts World Theater on 27th July at 8pm. Tickets can be purchased here.